Is a Holiday Time Sharing Agreement Required? The holidays are quickly approaching, and for some families, that means pulling out the Parenting Plan. 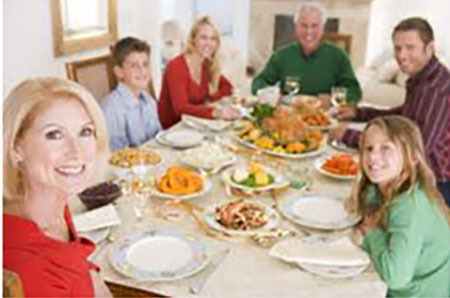 Holiday time sharing schedules in family law vary from case to case, but generally there is a premise that parents should have equal time sharing during the holidays. The major holidays that are almost always addressed in a parenting plan are summer vacation, Spring Break, Thanksgiving, Christmas and or Chanukah and the parents and children’s birthdays. Other holidays such as Halloween, the 4th of July, Labor Day and Memorial Day Weekends also need to be addressed. A recent case from the Second District Court of Appeals addressed whether it is mandatory to include holiday time sharing in parenting plans that are court ordered. In Mills v. Mills, the trial court did not order holiday time sharing when it entered a parenting plan for the parties. The appellate court found that to be clear error. The appellate court stated, “where visitation is ordered, the non-custodial parent’s right to the child on rotating holidays has become so routine and necessary that to deny it requires factual findings justifying that decision.” The trial court found that the parties have a very contentious parenting relationship. The appellate court found that, given this contentious relationship, it would be particularly imperative for the trial court to recommend a holiday time sharing schedule. The appellate court overturned the trial court’s parenting plan and directed the trial court to enter a plan that has a holiday time sharing schedule. They reasoned that the parents were not capable of working out a holiday schedule amongst themselves because of their prior relationship problems. Most parenting plans have the parties rotate the entire holiday each year. On occasion, some parents prefer to split the holiday equally every year, which would require an exchange of the children during the middle of the holiday. Make sure to review the date and time of exchange for time sharing. Letting your child(ren) know several weeks in advance, may help the transition be smootehr. Perhaps, send the other parent a friendly confirmation of the exchange. For some parents, this time of year is filled with fear or suspicions of child abduction. If this is the case, please contact your attorney to discuss your well-reasoned concerns. It might be time to modify your parenting plan or move forward to keep your child in the country or state. Many parents are also faced with crying child(ren) who do not want to go with the noncustodial parent. Legally, you must follow court orders, but it might be time to talk with your child as to why. You might have to discuss with your attorney about what you can do for the future. Sometimes your child(ren) are going out of state to visit the other parent. Should this happen to you, make sure you have a copy of the itinerary, contact numbers, and address of where they will stay. If you know that the other parent have family visiting from out of town but the child(ren) are supposed to be returned by 6:00 p.m., it doesn’t hurt to let them stay an extra hour or two. This might be the only time of year your child(ren) gets to see their other side of the family. Do You Need a Buy-Sell Agreement? 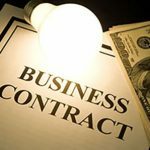 What are the Key Elements of a Business Contract?